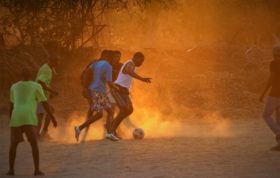 Bennet Mthonsi, more affectionately known as Stikenyawo, or Bennet on the bonnet! After growing up in the Timbavati area in the Kruger National Park, Bennet trained as a ranger at Phinda Game reserve in 2001 and was a valuble member of the guiding team for many years. However, his love and true talent for tracking soon had him perched on the front of the Landrovers of Londolozi for the last 16 years. Bennet is a bastion of the ancient traditional ways of tracking where finding and following animals runs deeply in his blood. His connection to the natural world and his ability to read the subtle signs of the bushveld is a gift that is characteristic of the truly great trackers of Africa. Alfie and Bennet in one of the last sightings that we had at Londolozi of the Sparta grandmother otherwise known as the ‘Iron lady’. Bennet is not seen without his camera in hand! For the last 8 years Bennet has teamed up with Alfred Mathebula, and together they have shared the wonders of Londolozi with countless guests and friends, and their partnership is seen as an example to many of the younger tracker and ranger teams. These new members of the ranging team often sit wide-eyed and transfixed as Bennet regales them with stories that have become legend. 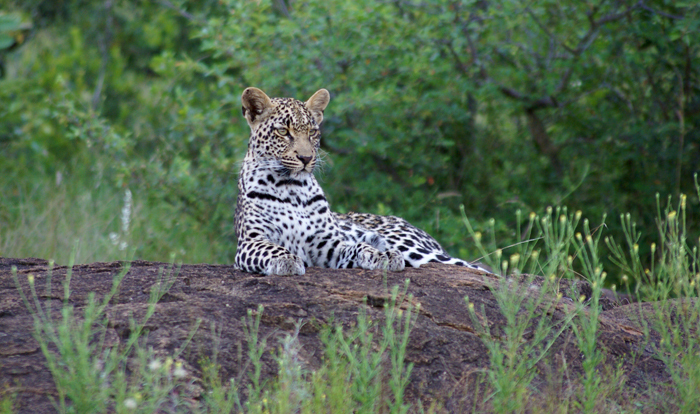 His favourite animal to track was the famous 3:4 female, a leopard that captured the imagination of so many. His skill and passion for finding her contributed greatly to Londolozi’s special relationship with this beautiful leopard. 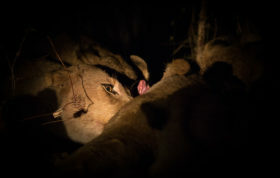 A wonderful picture of one of the Ximpalapala cubs taken by Bennet. 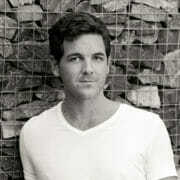 Bennet’s skills and interests extends past the art of tracking, and he is also a valuable addition to the photographic team for our blog. If this is not enough, in his spare time he is a talented carpenter and his eye for beauty is reflected in many of the artworks and furniture at Londolozi. In a world that is rapidly changing, the tacit knowledge of Bennet’s generation is rare. 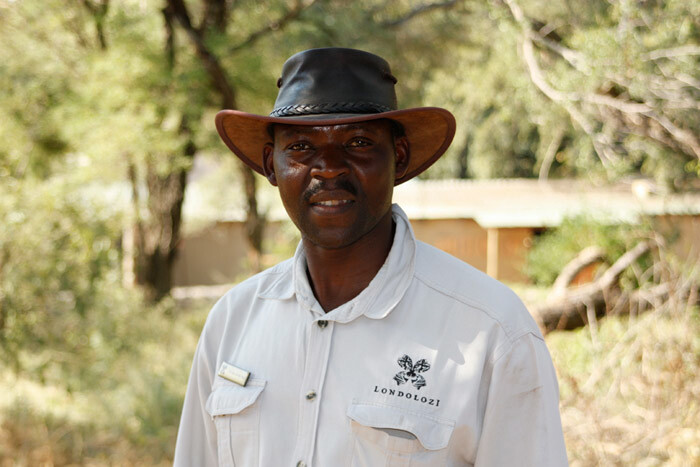 He is one of the last great members of the old school way and is valued hugely by the Londolozi family! Bennet in his trademark hat! I would love to have the pleasure of being on a Bennet guide safari drive. Bennet you are a ROCK STAR!!!! keep it up- and thanks! 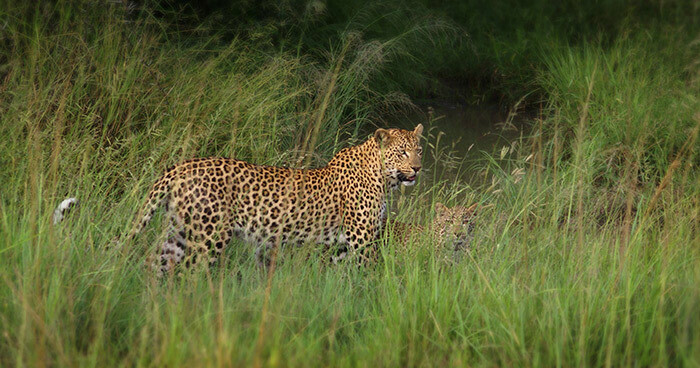 My family and I have had the privilege of having Bennet tracking for us on two amazing trips to Londolozi. What a great guy and amazingly talented tracker. We will always remember driving through the mist with Bennet and Alfie on an atmospheric morning in 2011. As we started off into the undergrowth the mist closed in and we were all thinking that it would be impossible to spot anything. But just before rounding a seemingly normal tree, Bennet calmly got off the ranger seat and into the landrover. As we rounded the corner there was a Tsalala mother with her 4 cubs, having just woken up. Mother stretched, the cubs wrestled and we were able to share such an intimate moment. Awesome tracking team! 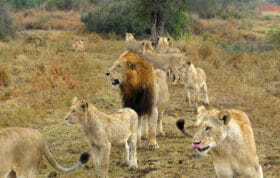 My wife and I are coming to Londolozi for the first time this coming December. We hope to meet Bennett during our vist. 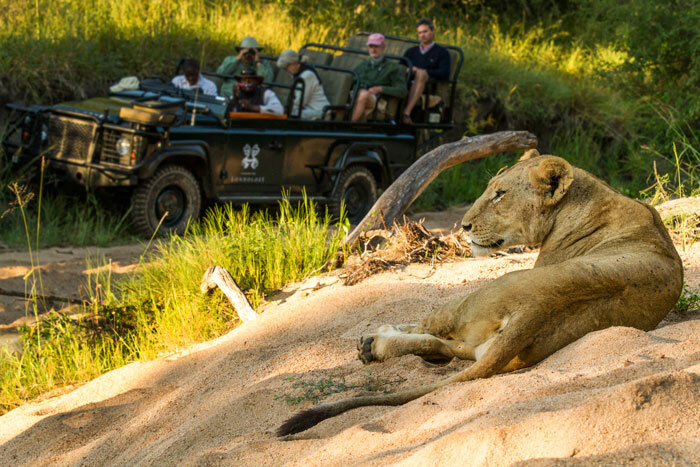 Londolozi trackers…..a breed unto themselves…..all make the experience beyond belief. Keep up the fine photography, Bennet. and joining Bennet and Alfi in August later this year. Hoping to have the pleasure of having Bennet as our tracker when we visit the first week in September. I’m sure all the trackers are wonderful! Can’t wait!! Had the privilege to be in the company of this illustrious duo for 3 days. (In 2008) Still remember Bennett getting off in the middle of the bush looking for this big lion family and Alfie driving off to go around “the other way”… No radio, just a rifle in his hand. How can they find each other again? After 15 anxious minutes we caught up again but it took a bit more as Bennett had to hide for some buffalo !!! Back in car, we drove 200 meters and found the lions we were looking for: three mothers and 10 cubs walking through the bush… Just a regular day for Bennett ! Or the way he ” calmed” this male bull elephant, from his bonnet seat when we drove in the morning mist by accident through the line of elephants….and the bull did not appreciate being “separated” from his young… Best bush memories I have had! Thank you gents. 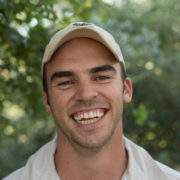 We just had the wonderful privilege of seeing Bennett (and Alfie’s) talents first hand this past week while at Londolozi…..he is an incredibly charming, interesting and knowledgeable tracker during our 6 drives while at camp. 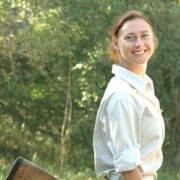 My husband and I truly believe that Bennett contributed enormously to the magic of Londolozi for us! Many thanks again! We will be back! 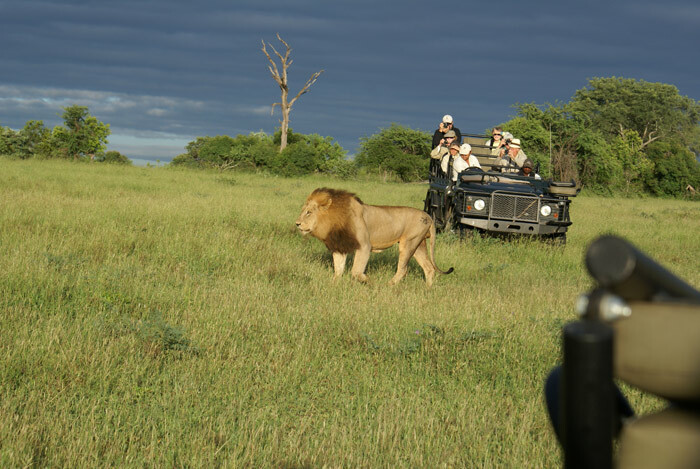 Just over a year ago (mid-March/12) , my wife Dorothy and I had the extreme good fortune to be with Bennet and Alfred for 4 days … just the 2 of us on the vehicle , on our first Safari experience .We’ve spent the last year sharing anecdotes of how A. & B. could see (from hundreds of metres off) , and find , animals that we couldn’t see until we were almost beside them! As a bonus , they were able to introduce us to a LOT of birds and animals of smaller stature . Again , thanks to great team , for a truly wonderful lifetime experience . We had the pleasure of having Bennett and Alfie as our ranger and guide during our visit last May, we will be returning the 29th of August and have requested they be our guide and ranger again. We have many fond memories thanks to this dynamic duo. Hope to see you soon! My husband and I just got back from our wonderful honeymoon stay a couple of days ago. Bennet and Alfie were our guides – and they were amazing! Any question we asked, they could answer. All of the animals we hoped to see, we saw within the first two drives! Having them as our guides was definitely one of the highlights of our stay! Just returned today from a wonderful two days in the company of Alfred and Bennet. Thanks for the great photography tips Bennet. I got some stunning photos and video footage of the Vomba female and her cub this morning!